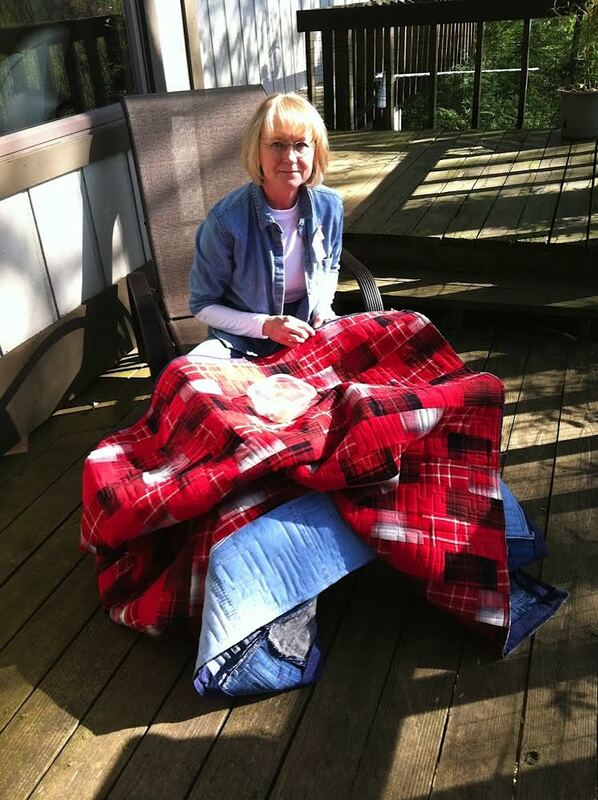 I am a quilt artist living in the beautiful Blue Ridge Mountains near Brevard, NC. 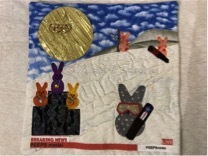 My work includes tradition, modern, and art quilts. 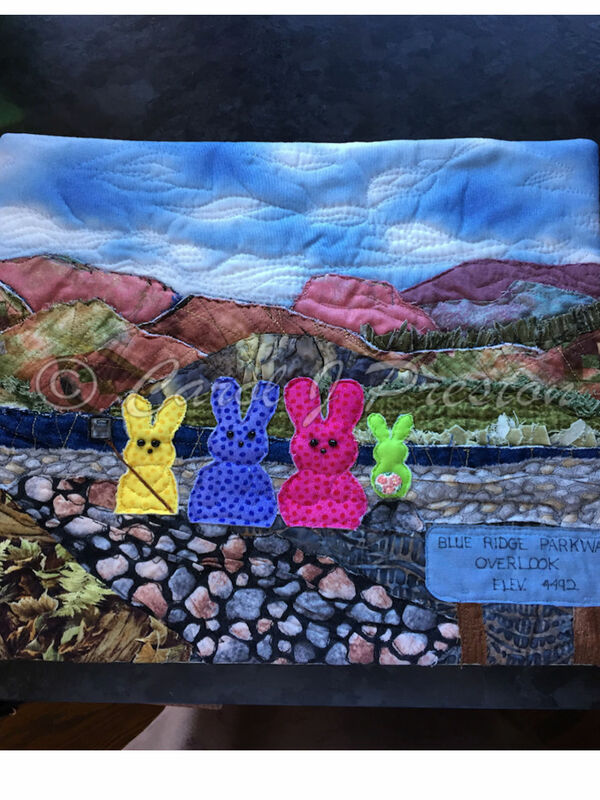 Most of my creations are made for family and friends. I enjoy entering a variety of competitions. I continue to create totes, snap bags and bowl cozies. 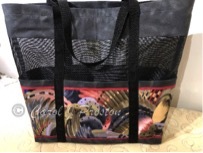 The larger totes make a generous beach bag, quilt tote, or modern “Mommy” bag. 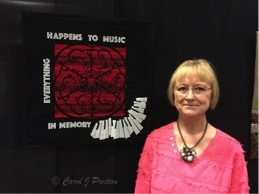 They’re great for transporting your tailgate goodies or a picnic to the Brevard Music Center. All totes have 6 padded outer pockets, a flexible screen body and strong, longwearing handles. 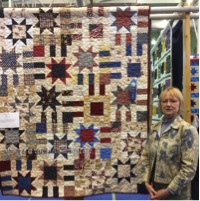 I am an active member of WNCQG and contribute to their tradition of making community quilts. 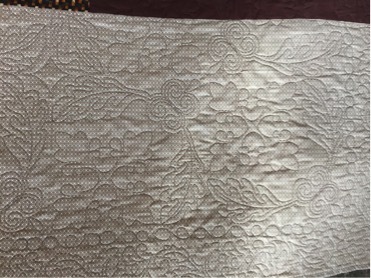 I quilt baby and pet quilts freehand and with pantographs. 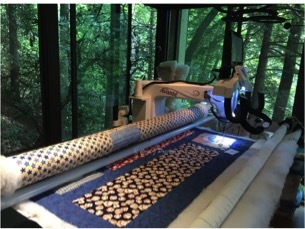 I work on a HandiQuilter Avante Longarm machine. 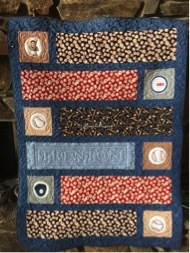 These next two quilts were done for little boys in my family. 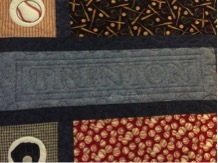 Trenton’s quilt is an original design. 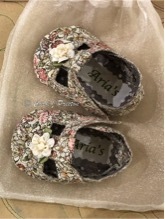 These keepsake baby shoes are REALLY GIRLIE and sweet!! 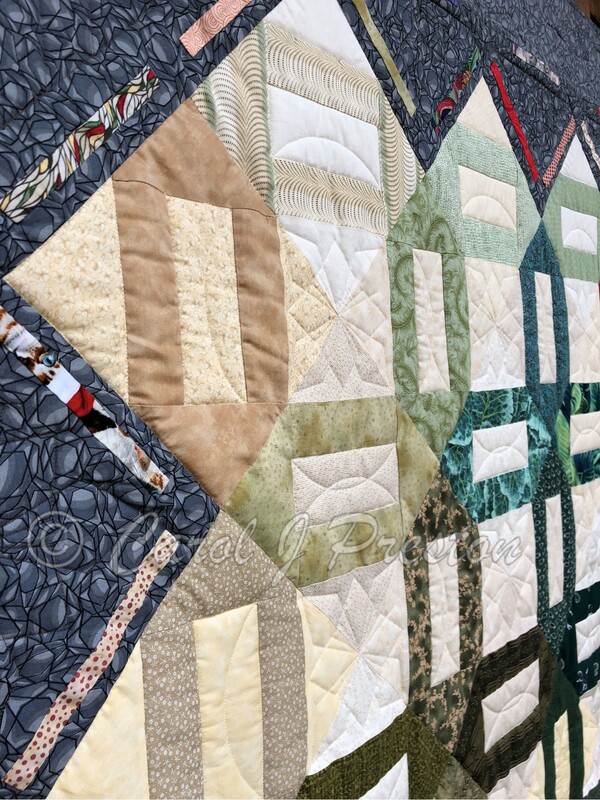 I quilt the fabric myself (sometimes matching the baby’s quilt). On one “shoe” I print the first name (as if a brand); on the other I print the “stats” of the birth, i.e. full name, date, time born, weight, length. 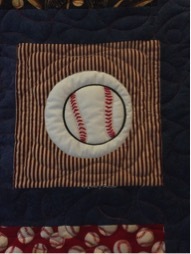 Many Moms and Grandmoms purchase a shadowbox to accompany the gift. When outgrown these little shoes become a great keepsake for the child’s room. How cool is that?? 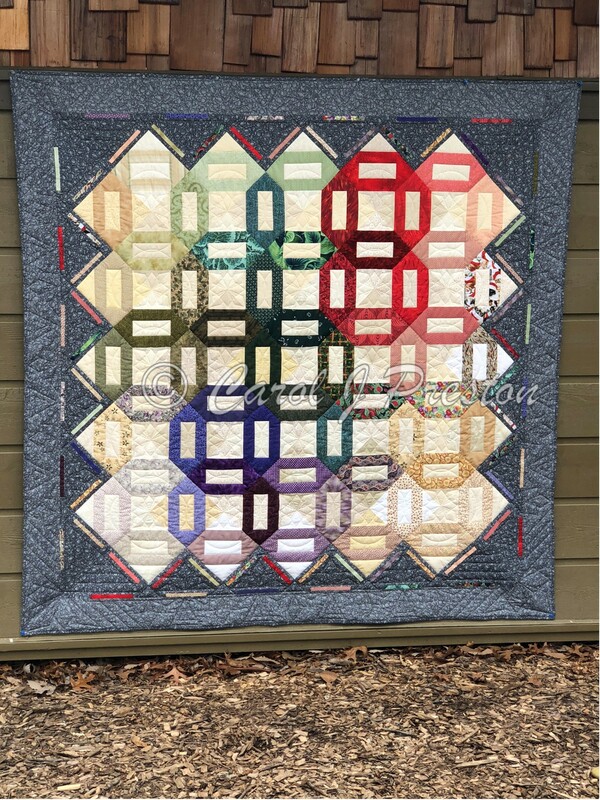 Quilted baby T-straps” utilizes pattern by Curby’s Closet. 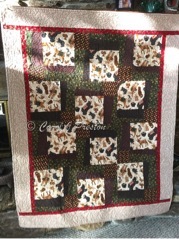 Contact me by email at [caroljpreston at me dot com] and let me create a unique item for YOU!